Sculpted over millions of years, natural rock formations offer a stunning insight into the Earth itself. Created by erosion, and chiseled by wind and water they are breathtaking to behold. Tourists often travel miles into the wilderness to admire these amazing creations of nature. 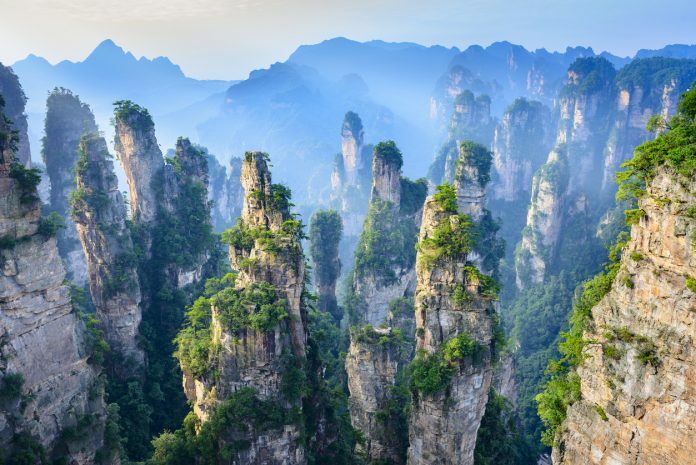 Check out our list of the 22 incredible natural rock formations you have to see. 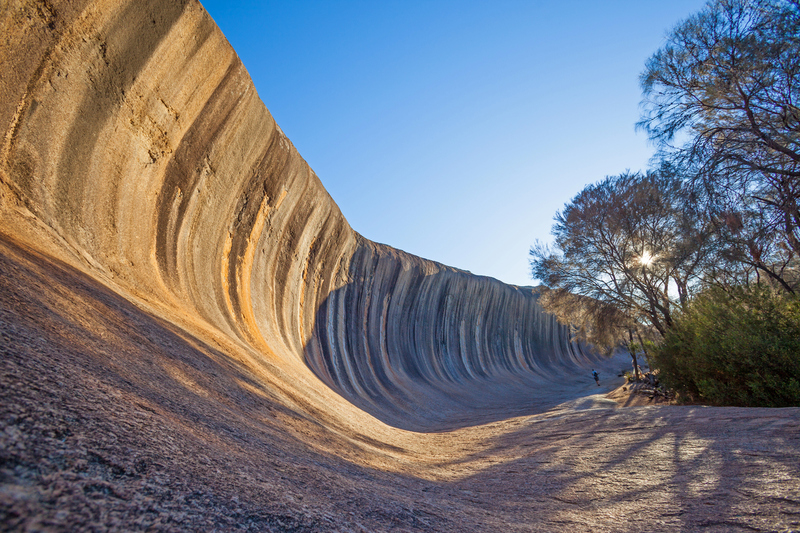 The aptly named Wave Rock in Hyden Wildlife Park, Western Australia looks like a giant granite ocean wave. It was likely formed by running water, which also left behind the colorful streaks. Đavolja Varoš or “Devil’s Town” in the Radan Mountains of south Serbia is made up of over 200 rock towers (also called hoodoos, fairy chimneys, or earth pyramids). Created by a volatile volcanic history, the area is also home to springs with unusually pungent waters. 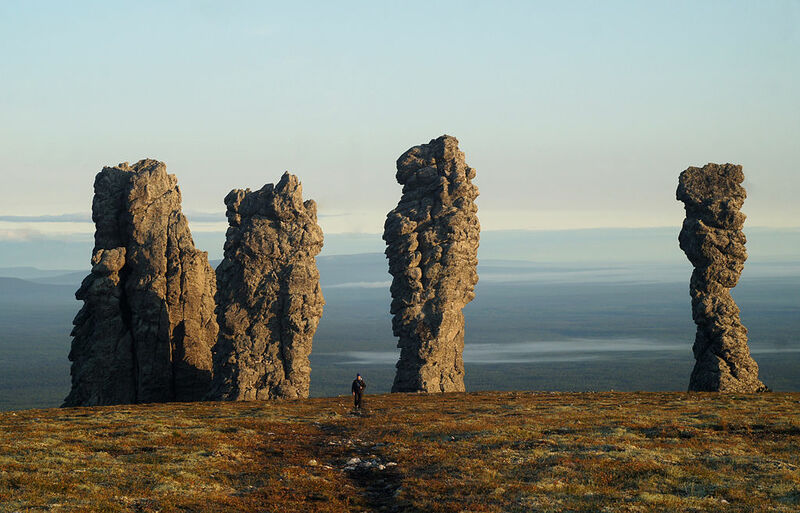 Literally the “little mountain of the gods,” this geological wonder is located deep in the Ural Mountains of Russia. Also known as the Seven Giants, they are said to have been created when a wizard turned evil giants into stone. 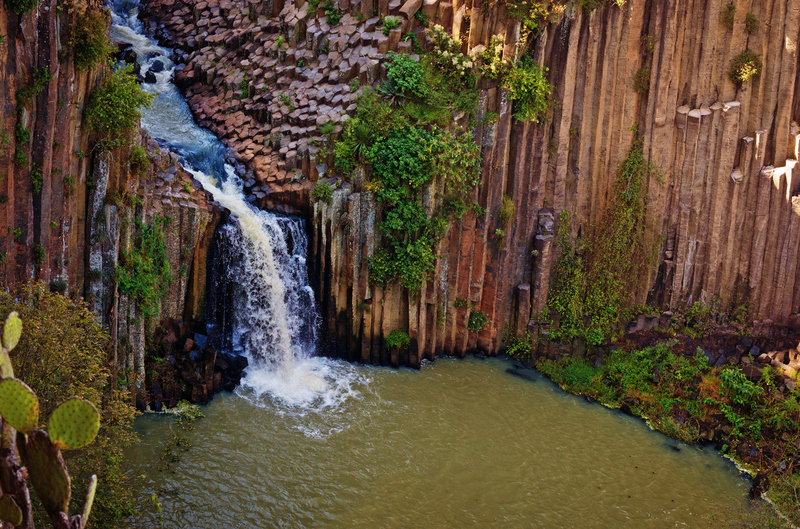 The Basaltic Prisms of Santa María Regla in Mexico’sHidaldo state were created by cooling lava. Forming the Barranca de Alcholoya canyon, the 98-foot-columns hare home to two stunning waterfalls. 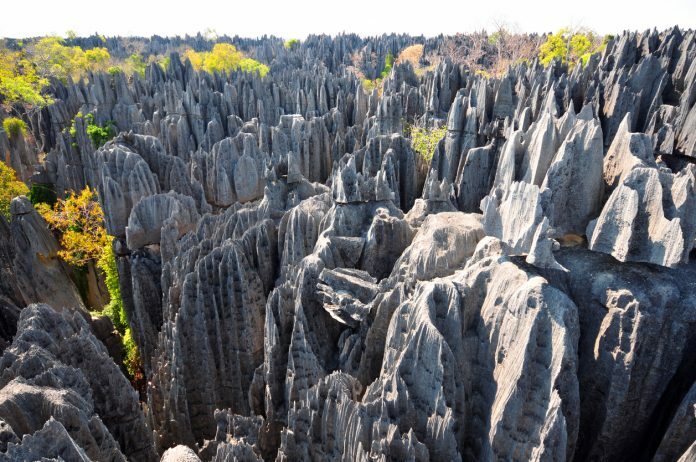 On the western coast of Madagascar lie the needle-shaped limestone formations of Tsingy de Bemaraha. Apart from the iconic tsingy (or, where one cannot walk barefoot), the area is also home to incredibly diverse wildlife and preserved mangrove forests. 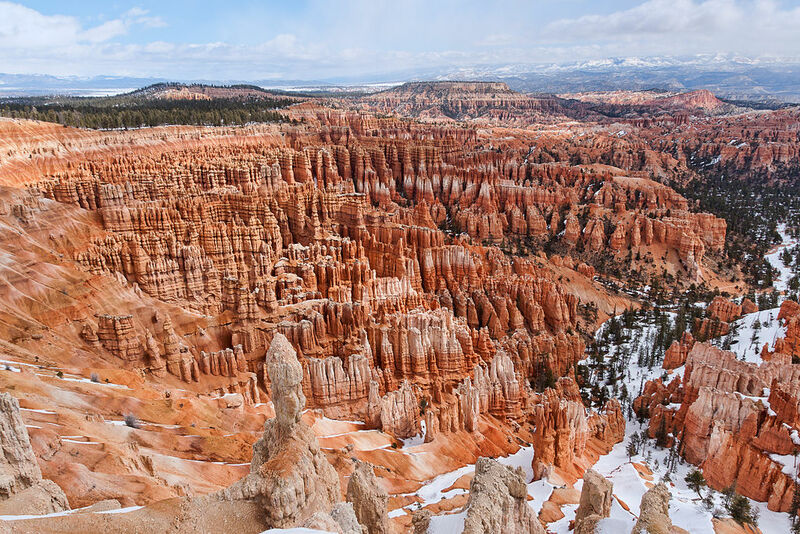 Located on the Colorado Plateau of southern Utah, the Bryce Canyon is actually a giant natural amphitheater filled with magnificent colorful spires and hoodoos. Reaching up to 200 feet, they were created by the repeated freezing and melting of water. 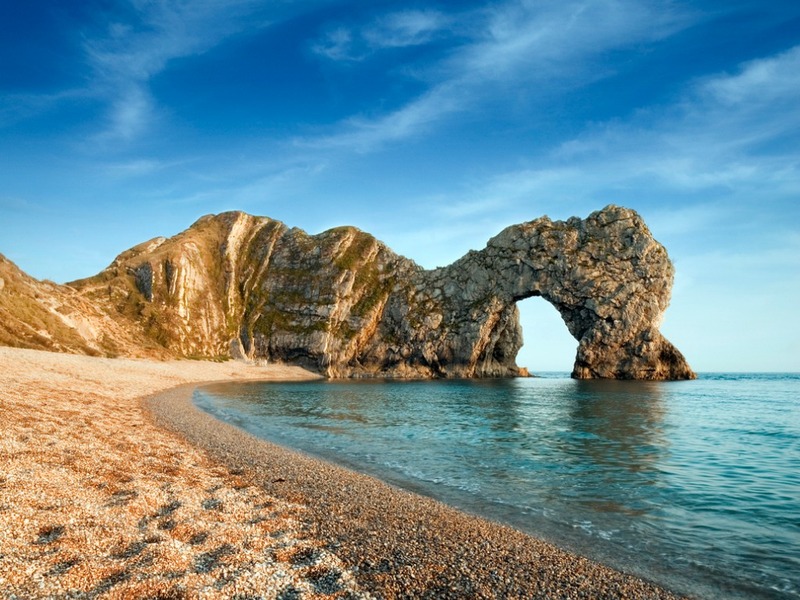 The Jurassic Coast near Lulworth in Dorset is home to the incredible Durdle Door. This limestone arch is almost 400 feet tall and is privately owned by the Welds, though it is open to the public. Shilin means “stone forest” in Chinese, and it’s easy to why. 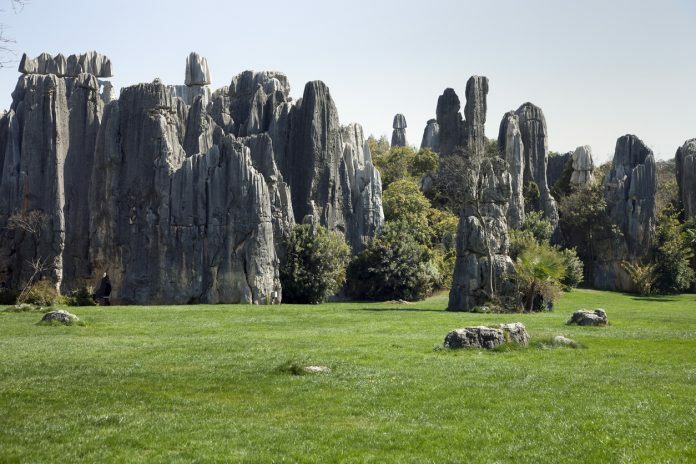 Located in the Yunnan province in China, the rocks seem to rise from the ground like petrified trees or stalagmites. 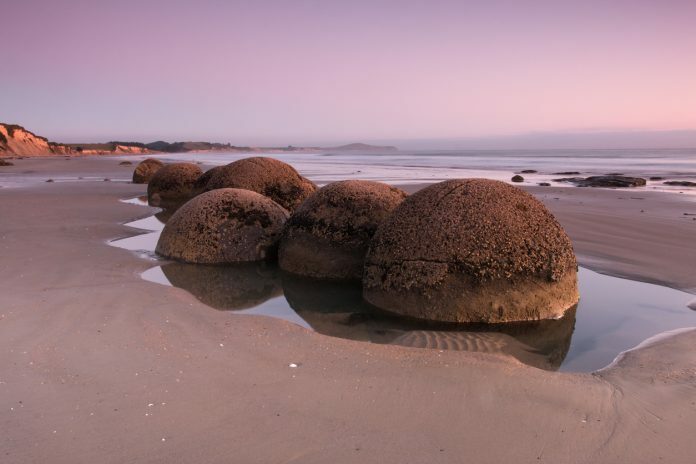 Once part of the ocean, these formations are thought to be over 270 million years old. Looking like giant turtle shells, the Moeraki Boulders lie on Koekohe Beach in New Zealand. According to Maori legend, they are the petrified fruits and eel baskets form Āraiteuru, a sailing canoe of the ancestors of the Ngāi Tahu. 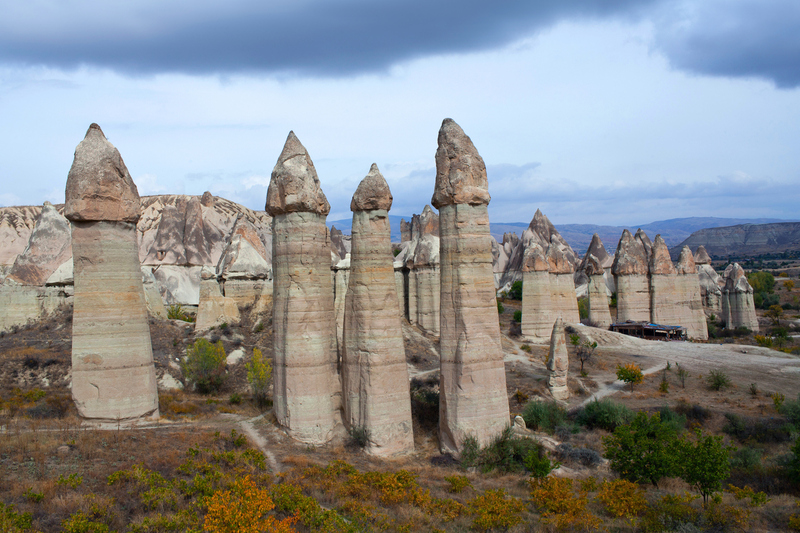 The Cappadocia region of Turkey is home to these strange conical spires. Created over millions of years by rain and wind eroding the volcanic layers of ash and basalt in Love Valley, they are best viewed from the town of Göreme. 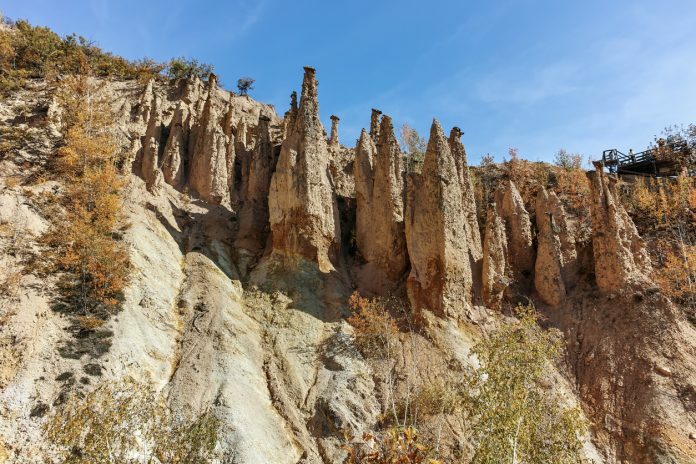 Over the years, many of these “fairy chimneys” have been hollowed out to create dwellings. 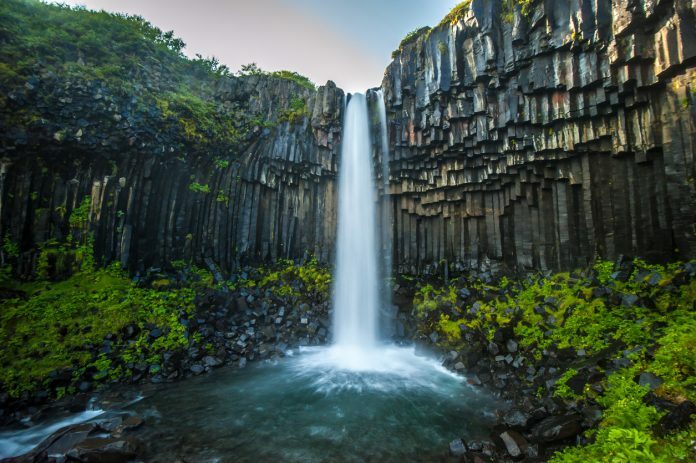 One of the most visited sites in Iceland’s Vatnajökull National Park, the Svartifoss waterfall is famous for its layered black lava columns. Its 65-foot waterfall starts at Skaftafell. This spectacular formation swirls across northern Arizona. Made of Navajo Sandstone, it is accessible to only 20 people per day. 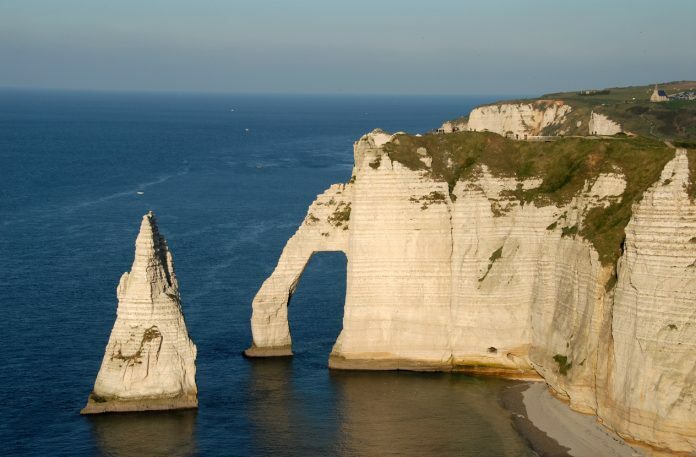 Situated on the coast of Normandy in France, this commune is known for its chalk cliffs with splendid natural arches. 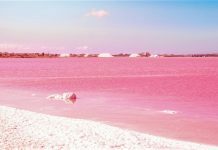 It once attracted famous artists like Eugène Boudin, Gustave Courbet, and Claude Monet. 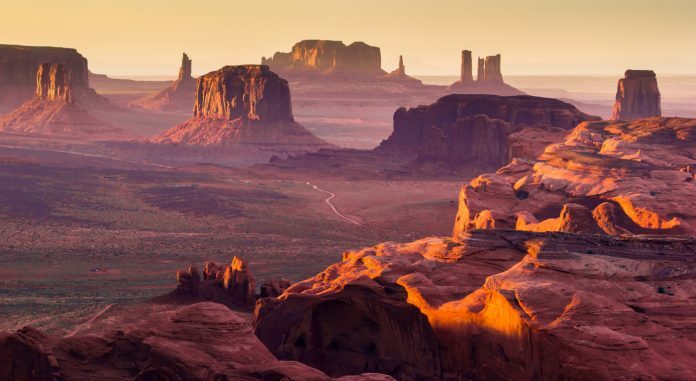 Located on the border of Utah and Arizona, the grand sandstone structures (buttes) of Monument Valley have been made famous by appearances in numerous Hollywood Westerns. The buttes are all that is left of the sandstone that once covered the plain. 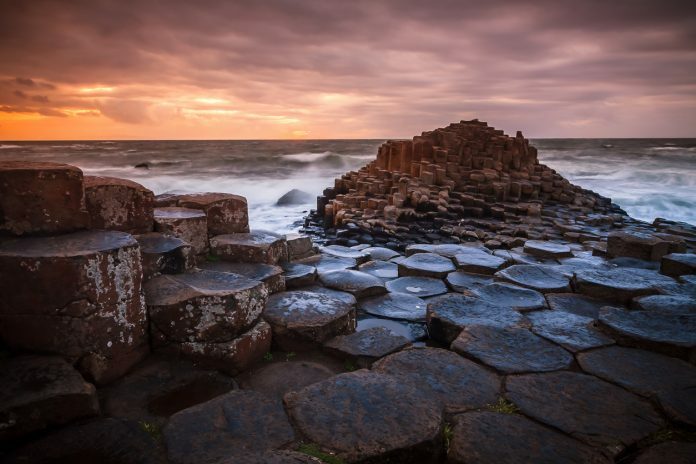 On the northeastern coast of Ireland are the massive hexagonal black basalt columns that form The Giant’s Causeway. Formed 50 to 60 million years ago due to volcanic activity, they rise like neatly interlocking steps or a cobblestone walkway. 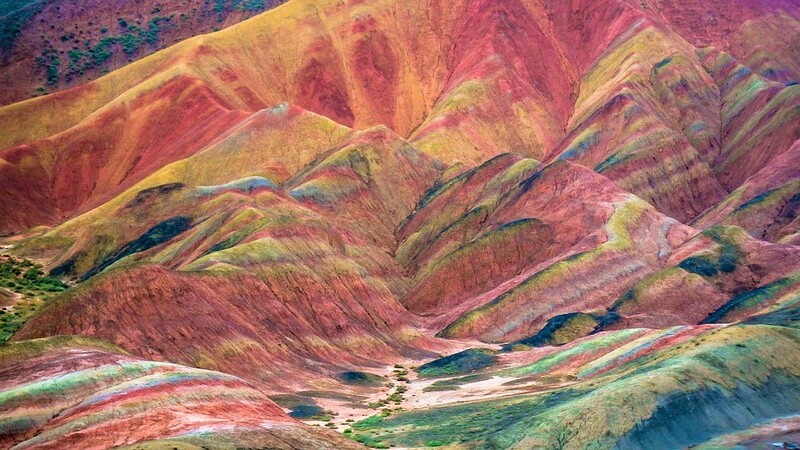 The Rainbow Hills of the Zhangye National Geopark in China’s Gansu province look like something out of a painting. 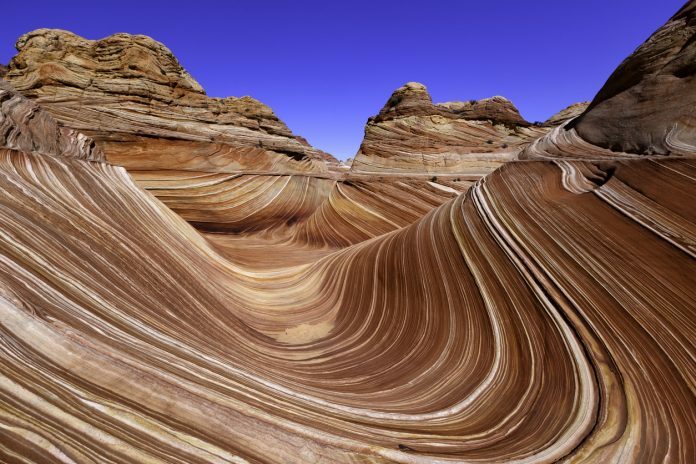 The extraordinary colorful layers are created by deposits of sandstone and other minerals. 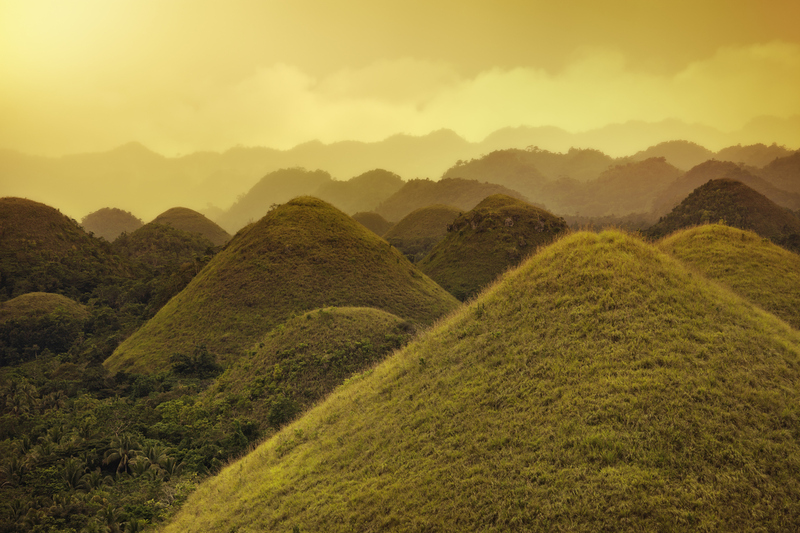 These unusual geological limestone mounds are scattered throughout the island of Bohol in the Philippines. Even though there are almost 1,300 nearly symmetrical mounds, geologists are still unsure of how they were formed. Normally covered in green grass, it turns a chocolatey brown during the dry season. 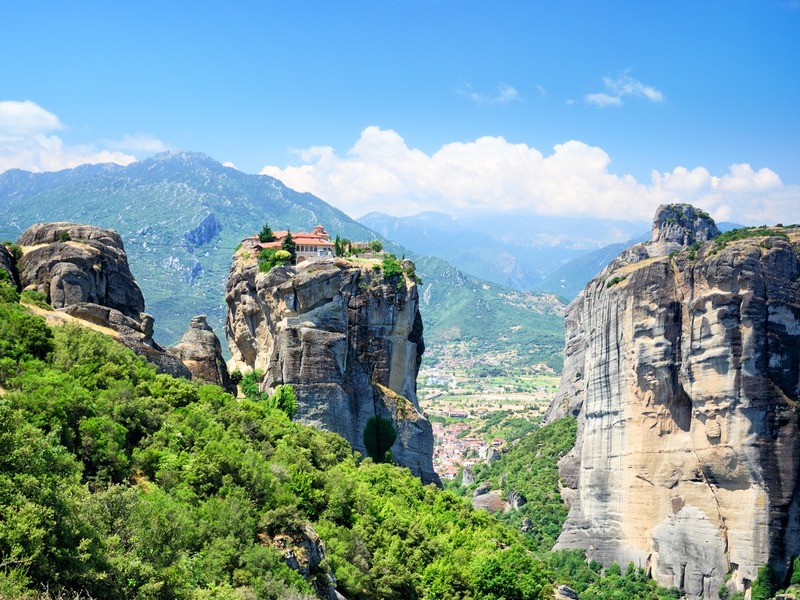 Located in central Greece, the immense unique natural pillars of Meteora are also home to one of the largest and most important Eastern Orthodox monastery complexes. Though the famous Azure Window in Gozo’s Dwejra Bay has collapsed into the sea, the lesser known Wied il-Mielaħ Window is just as spectacular. 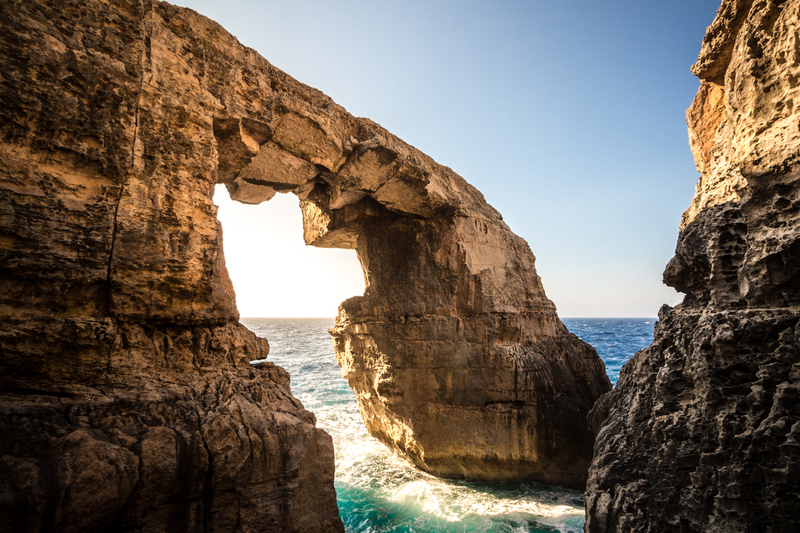 Located on the north-western coast of Gozo island, it is near the picturesque village of Għarb. 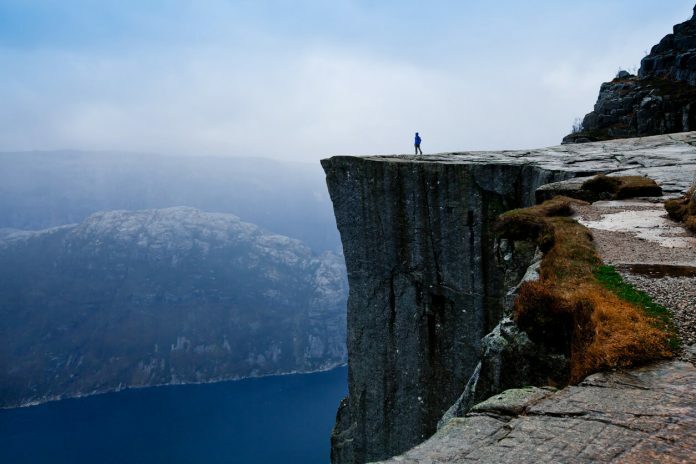 Better known as “Pulpit Rock,” this famous Norwegian attraction in Rogaland county, is a steep cliff which rising almost 2,000 ft above the Lysefjord. It was featured on the television show Vikings. 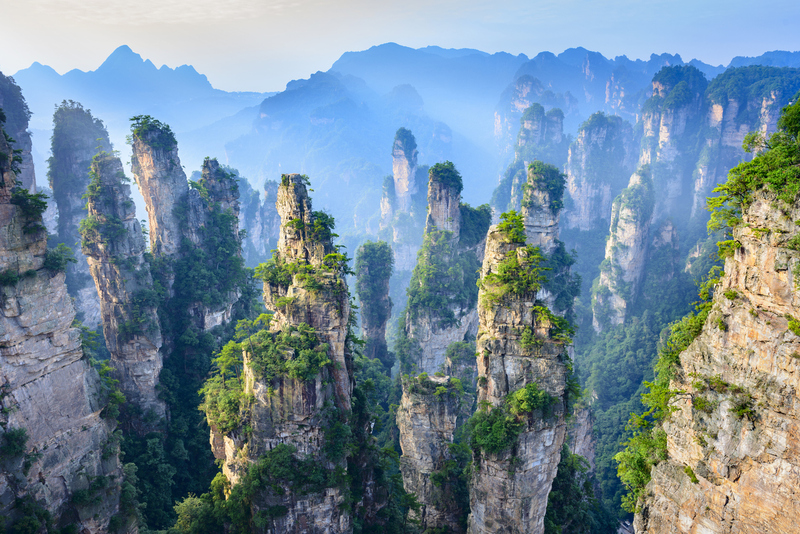 This scenic destination in China’s Hunan province is known for its 3,000 quartzite sandstone pillars. 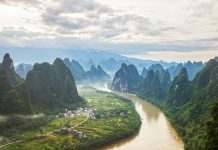 It is also full of beautiful lakes, caves, natural bridges, and waterfalls. 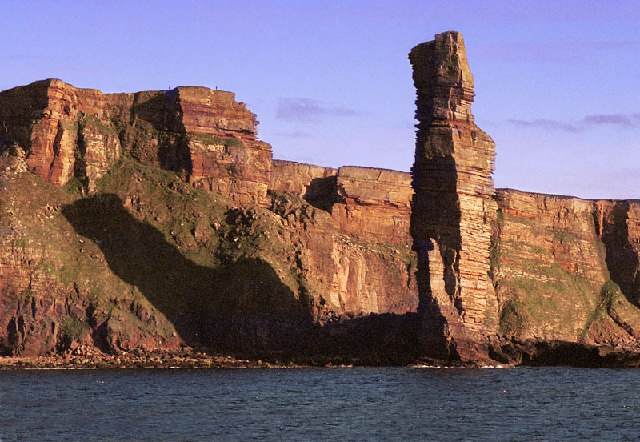 Located in the Orkney archipelago on the island of Hoy, the 449-foot Old Man of Hoy is one of the tallest sea stacks in Britain. 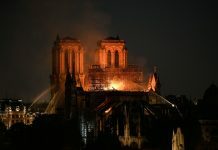 Though only a few hundred years old, it may soon collapse into the sea.